Usually, when we have something special going on here (like our Fall Open House this week), we like to serve samplings of food and dip mixes we sell in the store. We often will also have coffee, cider or some such beverage that suits the season. We will have plenty of food sampling this week – – zucchini bread, apple bread, spice pumpkin dip mix, salsa, and more. We will also be sampling a cake that we do not have a mix for . . . but is simple enough to make, and scrumptious to eat. Don’t know when we will have it out or how long it will last (not long I’m guessin’), but hopefully you will be here to taste Chocolate Zucchini Cake! We love Zucchini Bread, and we love the various Zucchini Breads with raisins, nuts and chocolate chips! But we searched the internet for other ways to use all the zucchini many of us are up to our knees in by this time of year. There are lots and lots of great recipes for using up those big guys (or those now frozen bags of grated zucchini). Voila’. 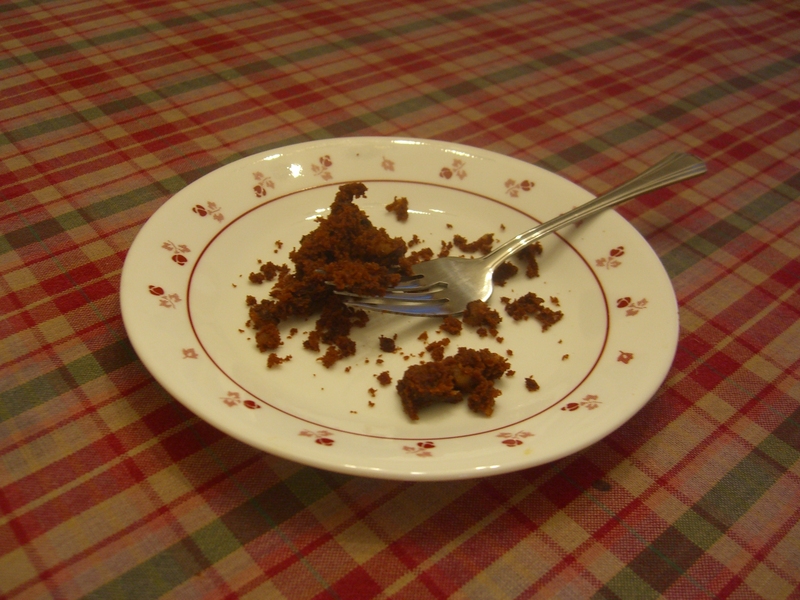 At Epicurious.com we found a recipe for Chocolate Zucchini Cake — with dozens and dozens of positive comments (that was important). It seemed simple to make, less than an hour to bake and practically guaranteed to be delicious! In case the link to Epicurious doesn’t work for you, we’ll share this recipe for what has to be The Best Ever chocolate cake! Preheat oven to 325° F. Butter and flour 13 x 9 x 2 inch baking pan. Sift flour, cocoa powder, baking soda and salt into medium bowl. Beat sugar, butter and oil in large bowl until well blended. Add eggs 1 at a time, beating well after each addition. Beat in vanilla extract. Mix in dry ingredients alternately with buttermilk in 3 additions each. Mix in grated zucchini. Pour batter into prepared pan. Sprinkle chocolate chips and nuts over top. Bake cake until tester inserted into center comes out clean, about 50 minutes. Cool cake completely in pan. * We added 1 teaspoon baking powder to dry mix, left out the chocolate chips, and mixed the walnuts into the batter. Moist, chocolatey, yum m m m my . . .